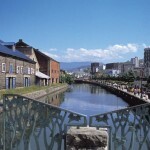 In Hakodate tourism thrives regardless of the season. 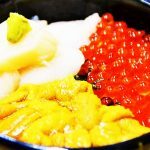 On June 1 the seasonal ban on catching squid, a Hakodate delicacy, is lifted; and many tourists come to taste the fresh squid, and see the lights of the squid fishing boats dotted across the Tsugaru Strait at night. 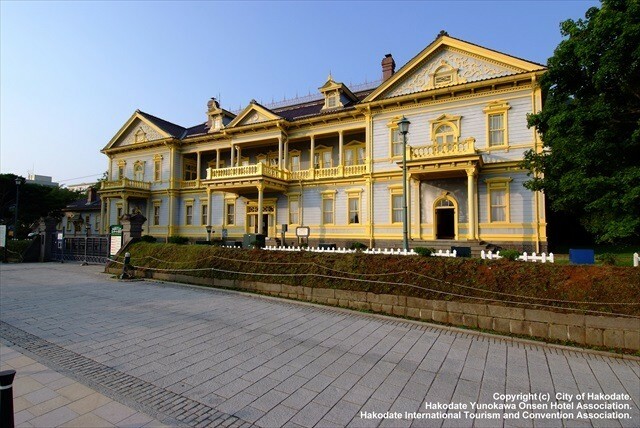 However, at classic tourist attractions such as the Old Public Hall of Hakodate Ward and Mt Hakodate, there are ways to enjoy the rest of the summer too! 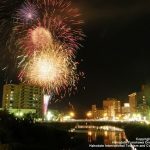 Here I will give some suggestions on how to enjoy summer in Hakodate; a season in which various events take place, such as the Hakodate Open-air Theater, where the history of Hakodate is reenacted, and the Hakodate Port Festival, where citizens gather to enjoy the short summer with every ounce of their beings. The Old Public Hall of Hakodate Ward is open year round, but its annex, the Colorful Costume Hall, is closed between December 26 and the end of February. It’s open from March, but at that time of the year there are still many cold days ahead. Summer is ideal for the occasion, so why not hoist yourself into a gorgeous dress and get commemorative photos taken at the Old Public Hall’s Colorful Costume Hall? A nice touch is that, in addition to dress costume rentals, they also provide a simple hair styling service! 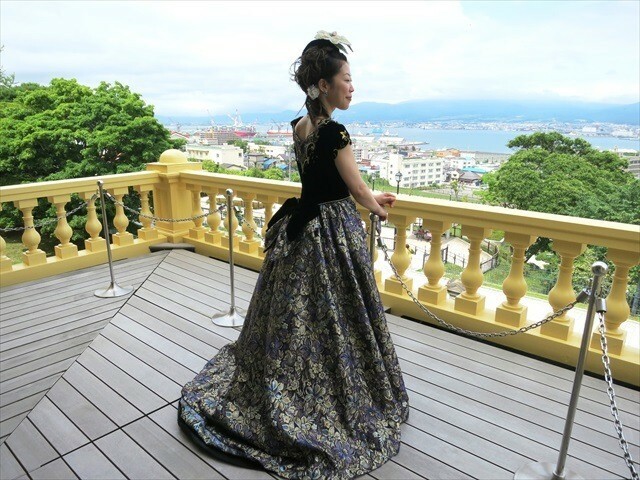 In summer you can even have photos of yourself taken clad in retro dress against the background of Hakodate city while you’re out on the balcony taking in the cool breeze. Commemorative photos taken here tend to be much more memorable than elsewhere! 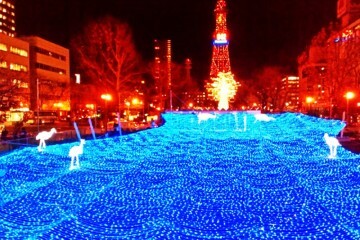 Taking in the night view from Mt Hakodate has become a mainstay of Hakodate sightseeing traditions. 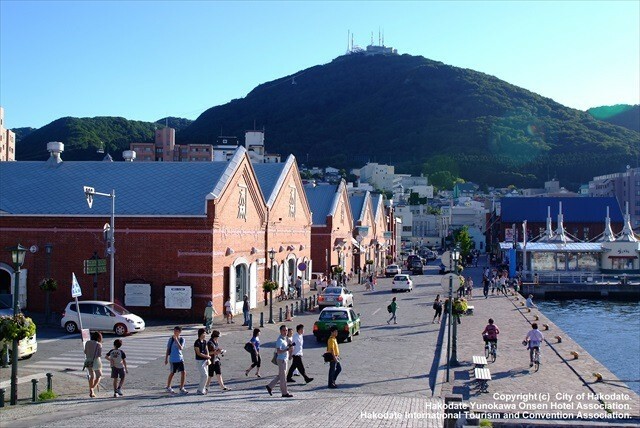 Taking the ropeway or a bus is the most conventional way to reach the summit, but Mt Hakodate is also mountain well suited for hiking! 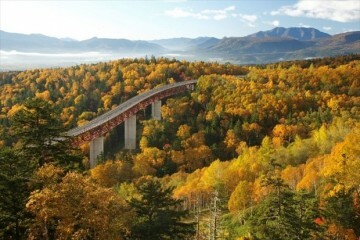 If you want to go hiking, it is recommended that you wear long sleeves and long pants even in summer. 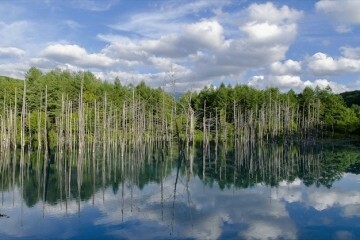 The first point of interest along the way is Mt Hakodate Fureai Center. 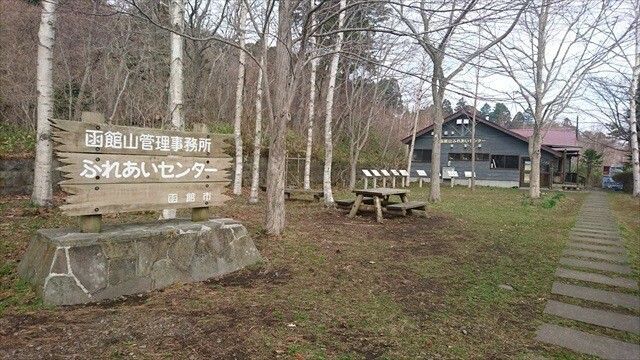 At this center there are volunteer mountain guides, so feel free to make an inquiry if interested. 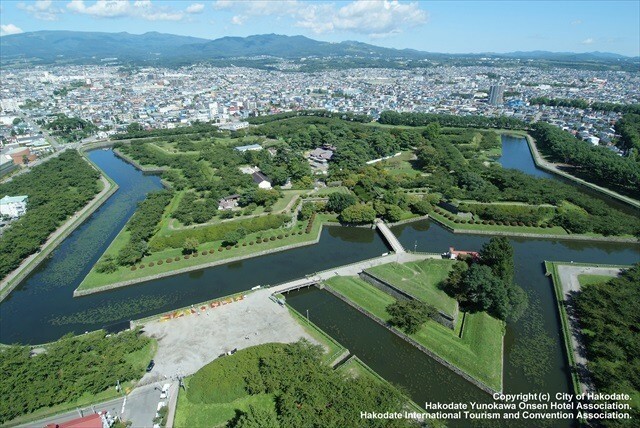 Mt Hakodate has a history of being used as a military fortress. 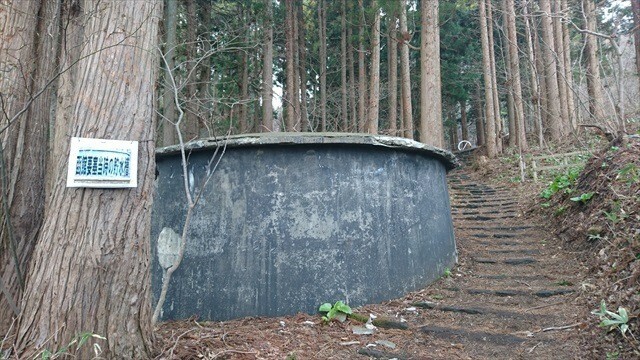 These days the mountain is a well-known sightseeing destination and a place where the locals come to enjoy its flora and fauna, but after advancing only a little from the start of the mountain trail you can find remnants of the era in which this mountain set up as a military fortress. 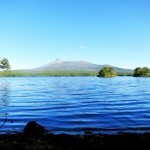 Mt Hakodate can be hiked regardless of the season, but if you want the ascent to be a casual affair you should probably avoid the seasons of deep snow and choose the more gentle nature of summer. 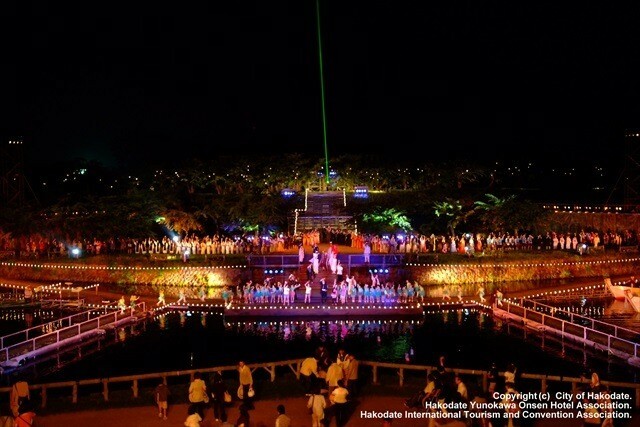 This open-air play created by citizens of Hakodate enfolds on a special stage set amidst the Goryokaku Ruins historical landmark, and delivers a splendid portrayal of the history of Hakodate. The performance starts as 19:30. The story of Hakodate’s history which is performed while the sun slowly sets is superb, and so are the light effects that paint the stage in various hues! Open-air theater is a fairly rare phenomenon in Japan, and this being a citizen’s production, most of the staff and cast involved are volunteers! 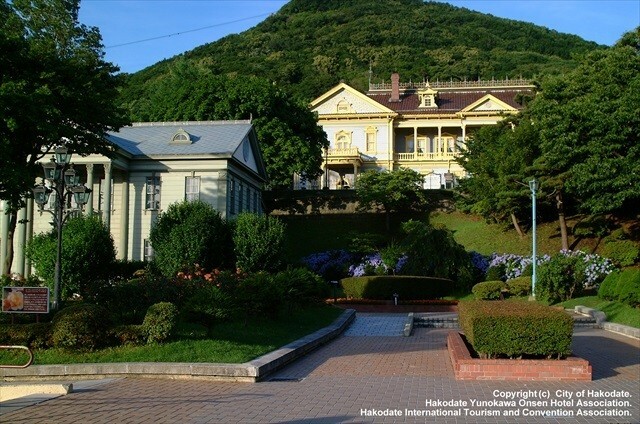 This open-air theater at Goryokaku Park, a popular tourist destination in Hakodate, is performed on Friday, Saturday and Sunday in July and August. If you’re going to visit the park in the summer, don’t miss out on the play! The 5 day Hakodate Port Festival takes place every year from August 1 to 5, and is the largest summer festival in Hakodate city! 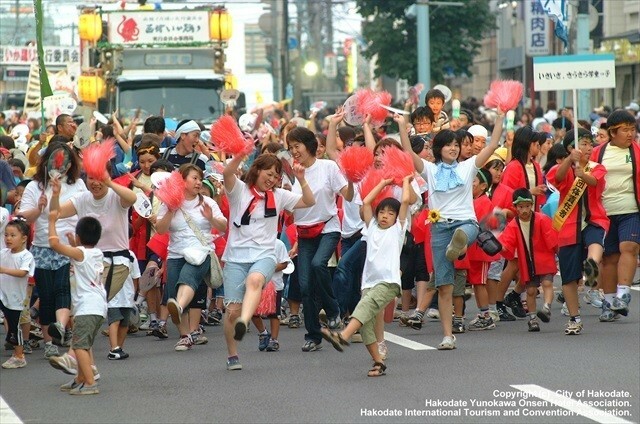 It’s packed full of highlights, with a a fireworks display on the 1st day, and two routes on days 2 to 4 on which the citizens of Hakodate parade their Wasshoi Hakodate dance down the streets (4th day schedule is tentative). The area in front of Hakodate Station bustles with a lot more activity than usual, with the streetcars that run through Hakodate city transformed into sparkling flower trains, and many street stalls lining the roads! 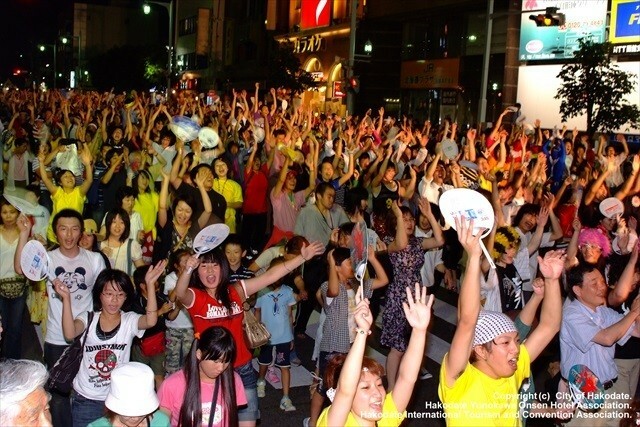 In particular, 20,000 citizens dancing the Squid Dance during Wasshoi Hakodate is an amazing sight to behold! The Squid Dance consists of a simple choreography that anyone can learn, so you can quickly get the hang of it by mimicking those around you. Participation is open to all, so by all means join in on the jumble of men and women of all ages dancing the Squid Dance together. According to the calendar summer arrives in June, but in Hakodate it’s still a chilly month, with mean temperatures of 16-17°C. In July and August there are hot days on which temperatures exceed 30°C, but the mean temperature is no more than 23-24°C. The temperature differences between day and night are severe, so the nights might turn out unpleasantly cold when lacking extra clothing. 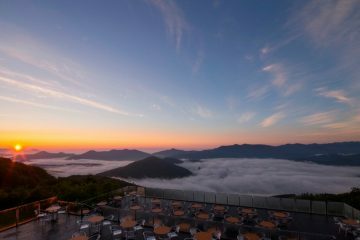 During hot days T-shirts and short pants may be sufficient; but at night, especially when taking in the night view atop Mt Hakodate, or when going for a seaside stroll along the Kanemori Red Brick Warehouses, you should not underestimate how chilly it gets. It is a good idea to carry with you a long-sleeved shirt or cardigan that you can don as soon as you start feeling cold! 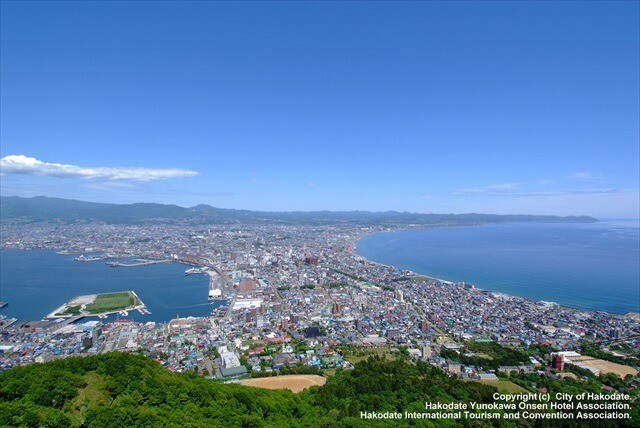 If you venture through Hakodate’s streets in summer with its charming vibes, you will no doubt become well aware of the passion with which the people of Hakodate enjoy their short summer at various sightseeing attractions and events! Aside from the sights and events I have introduced here, the area still has many other highlights in stock for you as well. 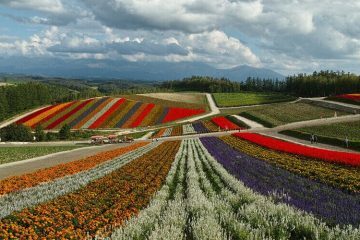 If you decide to visit Hakodate in summer, I hope you get to enjoy many of the local highlights that are unique to the season!